LAWRENCEVILLE, NJ (March 23, 2018) — Taft Communications announced today the recent promotion of Alanna Jamieson to senior communications manager. An experienced professional with a background in healthcare communications, she manages projects in the environmental, sustainable business, and public affairs arenas for Taft, one of the leading communications firms based in New Jersey. Jamieson, of Toms River, was also selected this year to serve as a fellow in the prestigious Lead New Jersey program that is dedicated to fostering a network of leaders who work to make New Jersey a better place to live and work. More than 1,500 fellows have completed the Lead New Jersey program, many of whom hold significant leadership positions in the state’s public and private and nonprofit sectors. 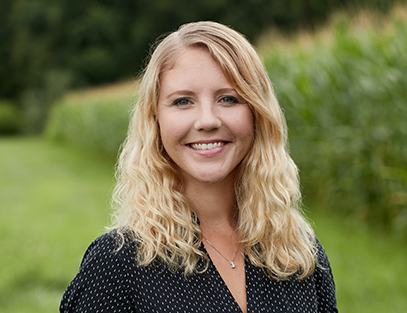 At Taft, Jamieson is account manager for the ReThink Energy NJ account, a campaign that seeks to make New Jersey a leader in clean, renewable energy. Her passion for sustainability and New Jersey’s clean future fuels her work to produce effective campaigns, newsletters and communications that have made ReThink Energy NJ an environmental leader in New Jersey. Jamieson honed her communication skills in corporate communications and commercial operations roles at Novartis, and early in her career at a healthcare marketing firm. She specializes in branding, reputation management, messaging, and strategic planning and holds an MBA from Rutgers University, a B.A. in English from The College of New Jersey, and a certificate in Project Management.